Dr. Karen Becker, author of “Dr. 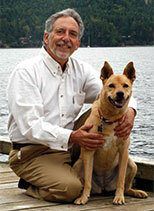 Becker’s Real Food for Healthy Dogs and Cats” and one of my absolute outstanding students interviewed me in a two part heartfelt, candid TV interview for her radio show. I thought you might be interested in watching this interview. The second part of this TV Discussion about the Kindred Spirits Project goes into the background and deeper questions that I pose on the kindred spirits project. 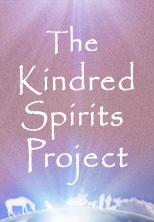 I share with Dr. Becker, my personal spiritual journey that I based the creation of the kindred spirits project. 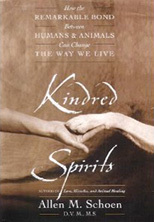 Dr. Becker is an excellent interviewer and brought out my deeper vision of what we are co-creating as part of the kindred spirits project. It is a joy to see younger veterinarians enthusiastically embracing the concepts of holistic integrative veterinary medicine and spreading the word to an ever widening audience. It is even more heartening to see how a new generation of veterinarians is acknowledging my theories of animal field theory, trans-species field theory and the healing power of the human animal bond. I hope you enjoy these two TV interviews! Till next time…..May all you kindred spirits be blessed with inner peace, joy, health and love!